Aurora Awards/Prix Aurora: Time to Vote! Apparently I have a short story eligible for an Aurora Award this year. It’s called “Fizz” and you can find it by clicking here. But the fact that I have an eligible story is not the important thing. The important thing is that you be aware of the Aurora Awards, which are Canada’s top science fiction awards, and the fact that you can vote for them. It costs $10 for a CSFFA membership to be able to vote. Oh come on, that’s not much! Well okay, it’s a bit. 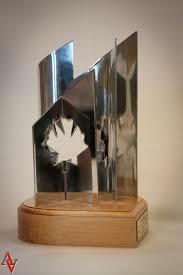 But it’s worth it to be able to vote for Canada’s best science fiction. If you’re already a member, just log in to the Aurora Awards/Prix Aurora site and nominate your favourite work(s). The complete eligibility lists are here. Go vote! For your favourites.